As soon as you become pregnant, breastfeeding will be one of the regular discussions that you will be bringing up with your family, doctors and even on casual conversations with your mommy friends. Why? Because during our parents' time, breastfeeding was not the norm and until now I can still hear some naysayers about the challenges and unsuccessful stories on one's breastfeeding journey which might dishearten a first-time mom's capacity to breastfeed her child. In order to ensure a smooth and doubt-free path to breastfeeding, I highly encourage one to attend workshops that could explain how breastfeeding works. This skill is not something innate to all women but rather takes a lot of determination, commitment and time to master the art of breastfeeding. 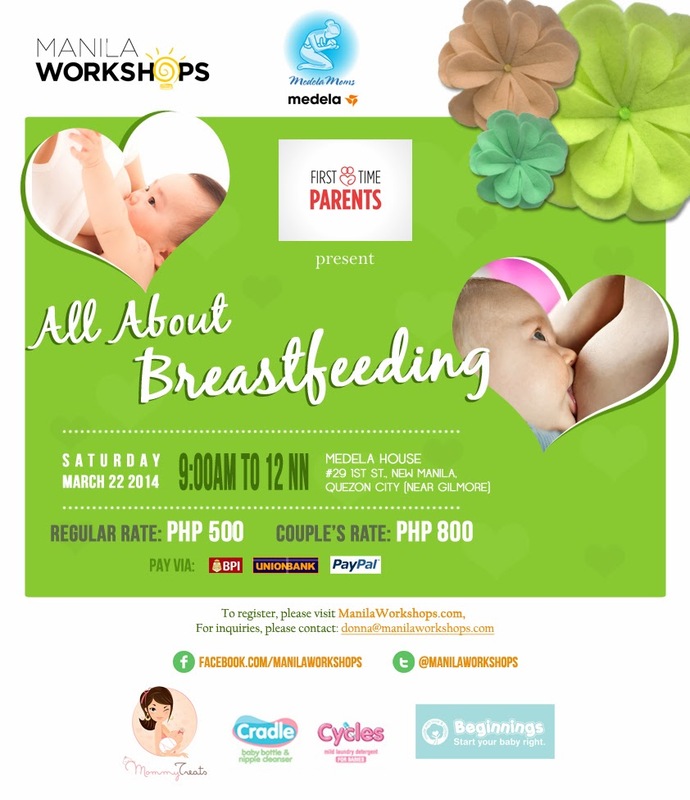 Here's an upcoming workshop on March 22 by Manila Workshops entitled All About Breastfeeding, part of the First Time Parents series of workshops. I hope you could take some time out and enrich yourself with knowledge about breastfeeding. I swear, you'll be amazed at how beautiful, natural and magical breastfeeding is. It's one of the best gifts that God has bestowed to us women that's why we must make good use of it. She is a registered nurse who graduated from the Pamantasan ng Lungsod ng Maynila. Her Nursing Degree was followed up with a Master of Science in Nursing Degree at UERMMMC Graduate School. She served as a Lactation Manager at St. Lukes Medical Center, Global City, and, through her own efforts, also conducts presentations and academic talks on the ABC’s of Lactation Management for Nurses, as well as Breastfeeding Classes for Pregnant and Breastfeeding Mothers. A breastfeeding advocate, Ms. Joyce provides lactation coaching and counseling, not just for breastfeeding and pregnant mothers, but also for their families, while actively organizing and promoting national breastfeeding campaigns. 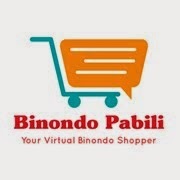 Our friends from Manila Workshops will be sponsoring free couple seats to three (3) lucky readers of The Binondo Mommy. This is open to anybody who can really attend the said workshop on March 22. The giveaway will run from March 13 (Thurs) to March 19, 2014 (Wed). I will announce the winners the next day and submit the names and contact details to the organizers. For the mechanics, just follow the Rafflecopter's instructions below. Please remember to do the mandatory steps first before proceeding to the next tasks for your entries to be valid. Good luck! Corrina Lagamayo, corrinalarra86@yahoo.com, i have 2 toddlers and currently 5months pregnant. The reason i want to attend the workshop is to familiarize the concept of breatsfeeding , what i need to know about the importance of it and hopefully to apply it to my newborn after learning them.